The Raxxess Hinged Vent Panel, Model HVP-4 (Black) is a convenient panel cover that can be configured to open from the left-hand or right-hand side. 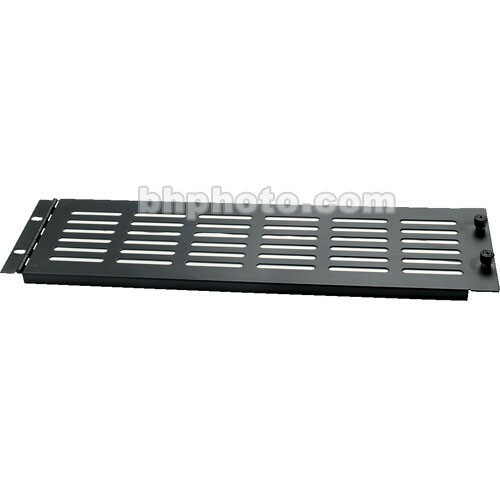 Its vents ensure equipment stays cool and captive screws thread directly into the rack rails. The panel is constructed from 16-gauge, perforated, 5/32" steel. This unit covers 6U of rack space and is finished in black, baked enamel. Box Dimensions (LxWxH) 19.1 x 7.8 x 1.0"